Part one in a three part beginner to advanced curriculum Aaron has been teaching with for years! 19 Videos (Over 40 Minutes)! 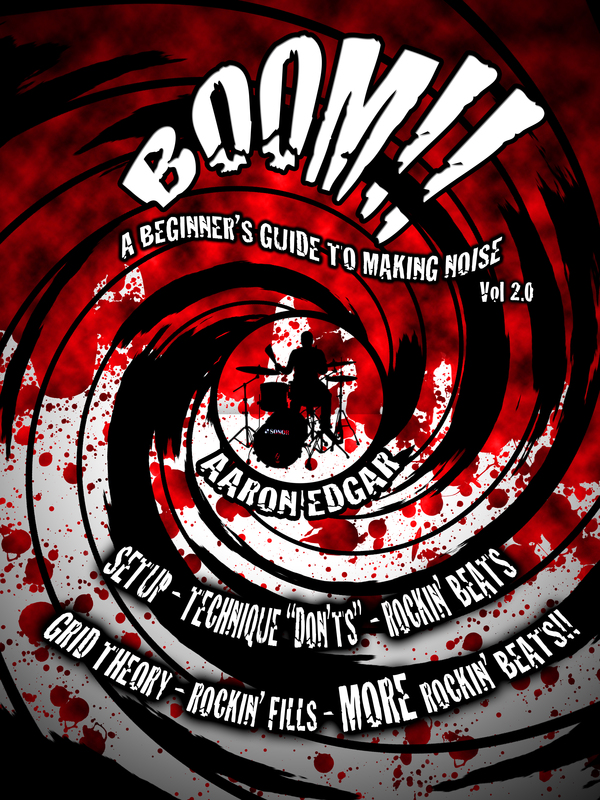 In Boom, which is the first in a trilogy of instructional books I designed from beginner to advanced we have some unique things going on. I am an advocate of theory and all that boring stuff, in Boom however, I’ve done my best to keep it at a minimum. I’ve been teaching for many years now and in my experience I have a good idea of what beginning players want. They want to have FUN. They don’t want to be studying and learning things that aren’t loud, fast and impressive! The first thing in this book is how to play a rock beat. The video is about a minute long and I’ve had people as young as SIX years old effectively playing beats from it! When we do sneak in the theory, I’ve come up with a method for reading music that’s SUPER easy. I call it grid theory. It’s based on how you would program drums, it makes it a very visual thing and totally easy to pick up! The book is packed with tons of rad beats and fills! The best part is that in every section there’s work sheets where you have to create your own patterns. In my experience, the things that really stick with a player are the things that they created themselves. Boom forces you to do just that and be creative. Be your own player! Don’t just play what someone wrote in a book, your personality is more important than that! 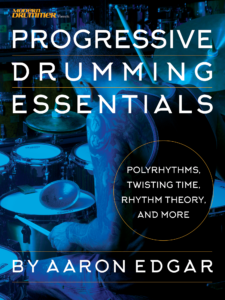 65 Pages, 19 videos and 150 MP3’s take you through the fun basics of drumming. I know most beginning players are looking to play drums cause they wan’t to play cool beats and fills. Not sit behind a practice pad for hours. As much as that stuff is important, I wrote this book to cater to what you WANT to be playing while sneaking in some of the theory and techniques just a little at a time. In my opinion, it’s one of, if not THE most fun book to start on there is! With over 15 years of teaching experience this has become how I start almost every student off which is why I decided to turn it into a book for everyone to enjoy! The reason I chose to tackle how NOT to hold your sticks is so whoever your ‘in person’ teacher is can teach you their technique. I picked things that you shouldn’t be doing regardless of the technique your teacher teaches. Most books show how the author wants you to hold your sticks which generally gets glossed over since it’s likely your teacher disagrees.